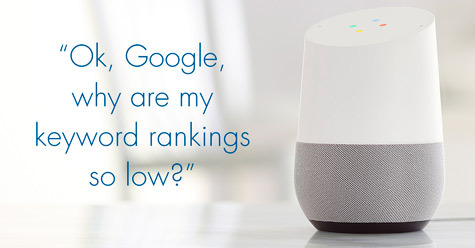 How does voice search effect my search engine rankings? Have you ever found yourself wondering about a particular subject and when the decision is made to look it up, you find yourself picking up your smart phone and uttering words like “Hey Siri, what is…” or “Ok, Google, find me…” instead of typing in your query? In this day and age of the microwave society, everybody wants things five minutes ago and nothing is simpler than speaking to your device of choice, whether it’s a phone or something like Amazon’s Alexa. Research is showing that even as early as 2014, 55% of teens and 41% of adults are using voice technology on a daily basis. Even though the same task can be completed by booting up your laptop (or trying to use those tiny keypads on your phone), it’s just so much faster to speak than to type. In fact, according to a 2016 Internet Trends Report by KPCB, the average human can speak 150 words per minute vs. 40 typed words per minute. That’s almost four times faster – no wonder this method of searching has become increasingly popular. The whole goal of a voice search, as opposed to a search that you type into your favorite search engine, is to get an immediate answer. While some typed search engines are getting better at giving “instant” answers, typically these will net you a return of a listing of links that pertain to what you’ve asked in which you need to decipher the information you want. And it’s this main difference that is very impactful on how SEO will be handled as this technology continues to move forward. Having a casual conversation with a computer may have felt like science fiction years ago, but now, computer voice recognition software is getting much better at understanding what it is we want. In an article written earlier this year by Xuendong Huang, Microsoft announced that they were successful in their efforts to reduce errors in speech recognition to 5.1%, which happens to be the same error rate as a human. And it’s not just Microsoft – Google and other companies are getting much, much closer to understanding your commands as if you were conversing with another person. And here why this is important with SEO. 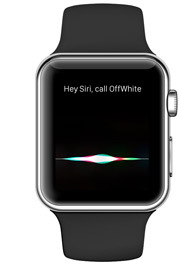 While keywords are an important part of a search, voice commands are geared more towards a natural speech pattern. One thought is that when building your SEO program, you might want to think about using speech patterns to help boost your rankings. People don’t use voice commands the way they type. For example, if I want to know what movies will be playing this weekend in my city, I’ll typically type in something like “movies” and enter in a date and/or location, but with voice commands I can say something like “what movies are playing this weekend?” My mobile device is smart enough to know my location and is able to pull in the desired information. Questions are very common with voice searches, so you might want to think what could be asked about the information on your pages/products and integrate them into your SEO program. I'm not saying that the age of the keyboard has gone the same way as the dinosaurs, but with voice recognition becoming much more widely used (and it is only expected to grow) people will need to start changing the way they think of how customers are searching for their products and act accordingly. It’s just the next natural step in an ever-changing technology world. To learn more about the latest trends in SEO, contact Jane Cirigliano or Abby Spung at 800-606-1610.